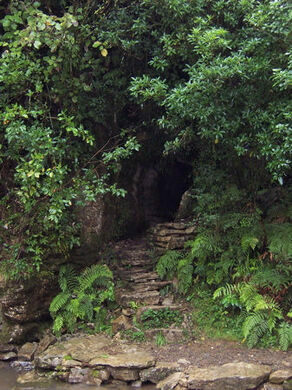 In 1887, English surveyor Fred Mace and local Maori Chief Tane Tinorau decided to explore the Caves of Waitomo. 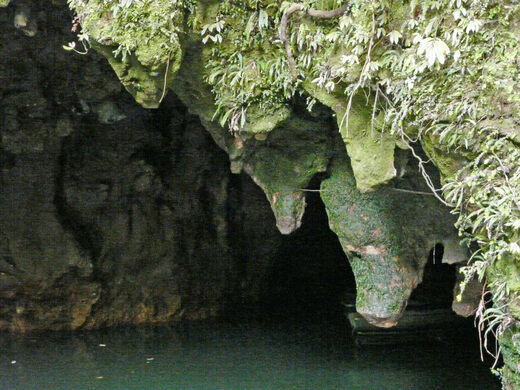 They entered the cave system on a tiny raft where a stream descends into the underground, and with their candles, they carefully navigated the stream through the caves. 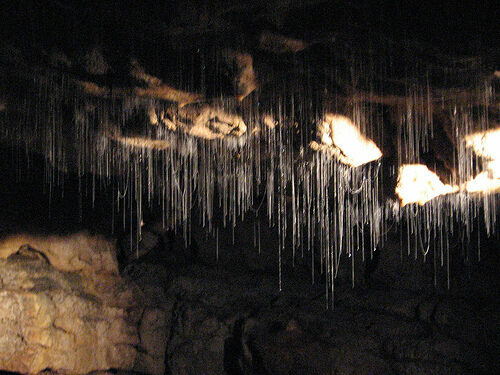 In the darkness, they noticed starlike lights scattered across the formations above their heads. 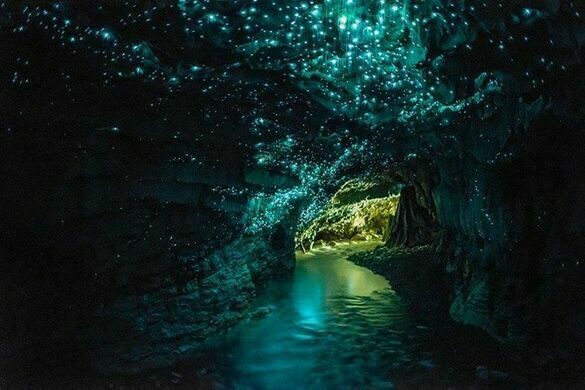 Thousands of glowworms were hanging peacefully above their heads, forming a magnificent bioluminescent cosmos. The glow worm is a catch-all name for the bioluminescent larvae of various species. The larvae of the beetle fireflies (Lampyridae), beetle larvae (Phengodidae), and of Arachnocampa, a type of fungus gnat all bioluminescence. 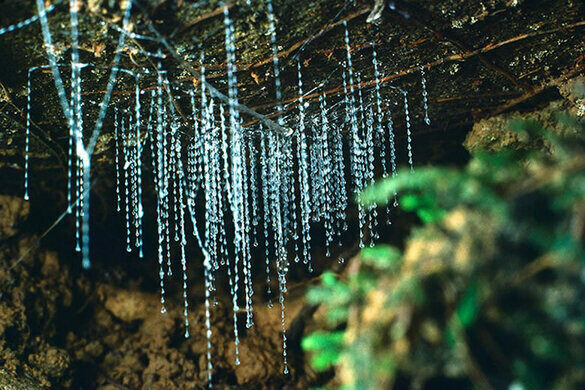 It is these fungus gnats that can be found in massive numbers in Waitomo caves. The fungus gnat larvae cling to rock walls and hunt with long strings of sticky mucus. When seen in large groups they are truly astounding. Elated with joy, the two men would return many times to explore further. On an independent trip, Tinorau found a land entrance, which is the same entrance that is used today by tourists from around the world. Tourists started visiting in 1889 when Tinorau and his wife began leading tours. 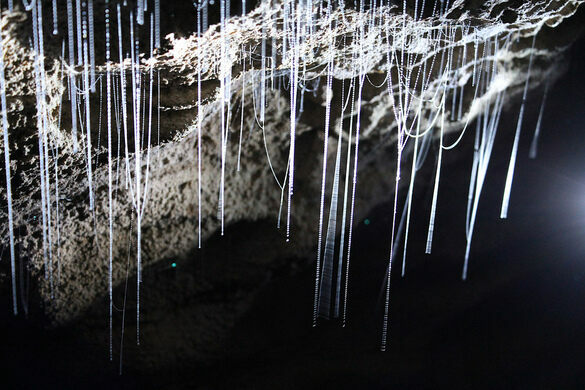 Today, many of cave guides are descendants of Tinorau and his wife, and the fungus gnats, with their long strings of sticky mucus, still glow beautifully.